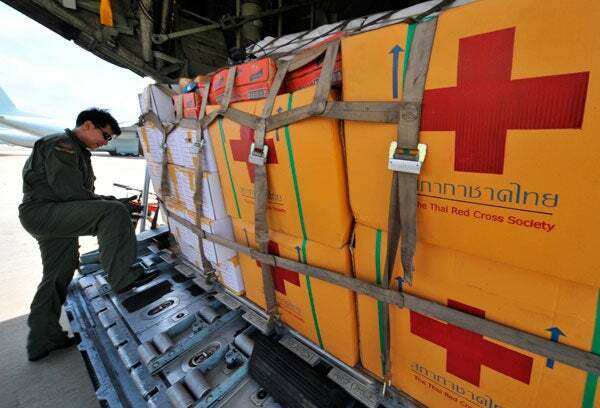 Medical supplies are loaded on a Thai air force plane bound for Myanmar. Developing countries often depend on foreign aid to bolster their own health services, but some policymakers say giving that money directly to governments leads to reduced spending on health. Stanford researchers say there is no good evidence to support those claims. Much of the money, according to the study, was displaced – spent on something other than the intended health care. But Stanford researchers Rajaie Batniji and Eran Bendavid say those findings are flawed. In an article featured in the May 8edition of PLoS Medicine, Batniji and Bendavid say the 2-year-old study by researchers at the University of Washington should not be used to guide decisions about how much money to give and who should get it.